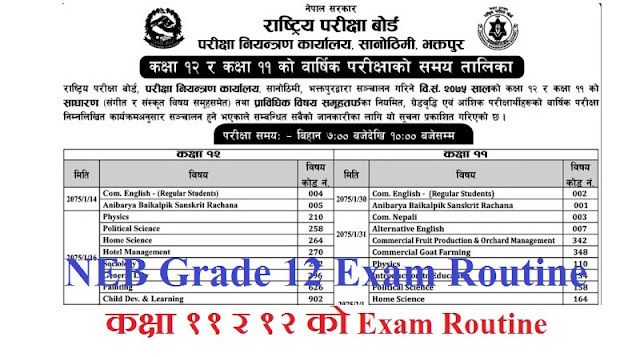 National examination board ( NEB ) Nepal has published the NEB Grade 11 & 12 Exam Routine. According to the published NEB Grade, 11 & 12 Exam Routine Class 11& 12 (+2) exams begins ( Start ) from 14 Baishek 2075. This time national examination board has published on the same page. Therefore if you have any friends or relative appearing on the board exam please share this information with them.